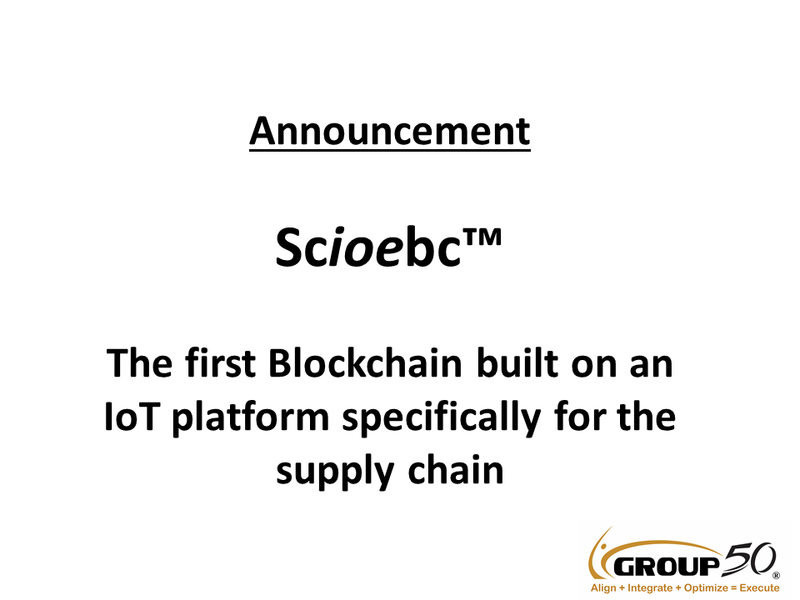 Los Angeles, CA – Group50 announced today the launch of Scioebc™, a next generation supply chain product that utilizes the blockchain and is powered by THINaër, an IoT platform building The Internet of People, Places and ThingsSM. Participate in Group50’s Blockchain adoption research project here. Group50® was founded in 2004 with a focus on leveraging the intersection of people, process and technology in manufacturing, distribution and the global supply chain. 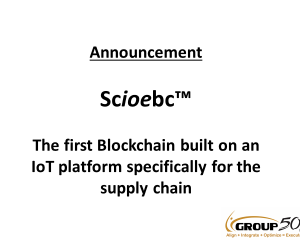 Group50 has optimized global supply chains for companies in over a dozen countries and with the addition of a technology platform can provide a complete next generation supply chain solution its clients. Consisting of consultants who spent their careers in industry, the Group50 team understands the challenges today’s business environment and how to develop and implement transformational business strategies and processes. THINaër was founded in 2016 to provide the world with an easy and affordable way to track people, places and things. The THINaër IoT platform leverages Bluetooth technology to generate new and unique actionable data at a fraction of the price of traditional solutions. Led by industry experts in healthcare, manufacturing and technology, THINaër builds solutions that empower hospitals, manufacturers and enterprises to answer the most challenging questions never answered before. THINaër is the first ever end-to-end solution to provide immediate ROI without disrupting existing workflows or overhauling existing systems. To learn more about THINaër and The Internet of People, Places and ThingsSM, visit www.thinaer.io.